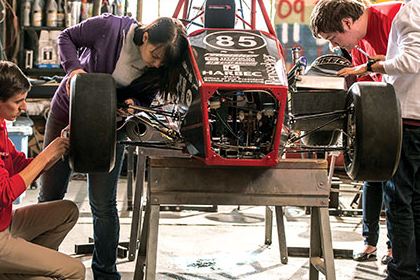 Rensselaer’s School of Engineering is committed to educating engineers prepared to solve society’s grand technical challenges with integrity and excellence. Our mission is to educate leaders of tomorrow for technology-based careers; to celebrate discovery, and the responsible application of technology; to create knowledge and global prosperity. Graduates of the school become leaders in engineering ready to solve real world practical problems. Our students have a solid foundation in math, science, and engineering fundamentals, complemented by in-depth training in their technical field. 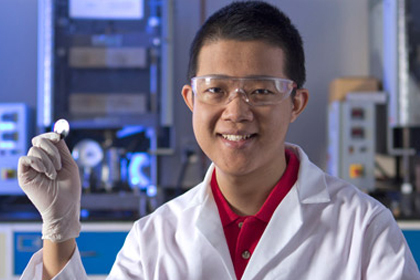 Through hands-on learning, laboratory experiences, and multidisciplinary design opportunities, they gain valuable experience in the practical application of that technical knowledge. The school enhances their skills in innovation, leadership, and communication, and ensures that they have a broad exposure to humanities, social sciences, and ethics so that they practice engineering in a socially responsible and ethical manner. Also instilled are curiosity, innovation, and the love of learning. Have a solid foundation in mathematics, science, and engineering, and be able to apply these to practical use. Are able to identify, model, analyze, and solve challenging real world problems. Have specialized technical knowledge in their chosen field. Have strong communication skills with emphasis on technical writing and interpersonal com­munication. Are able to design innovative products, processes or systems. Perform effectively on diverse, multidisciplinary teams, both as leader and contributor. Are informed citizens broadly educated in the humanities and social sciences. 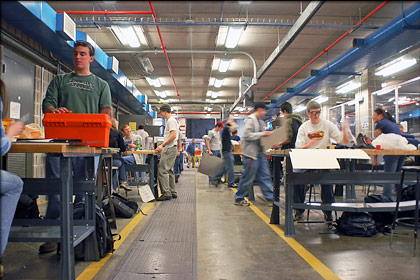 Are prepared to practice engineering in a socially responsible and ethical manner. Have learned in a creative, stimulating environment that prepares and motivates them to continue to grow and learn.